Whenever people start talking about gun safety and kids, the emphasis is usually on little kids and toddlers. It’s important to understand that by the time your children get to be teenagers, the basic rules of gun safety need to have already been instilled in them. Your choice to accept the responsibility to learn, practice and teach gun safety to your children, and to do so repeatedly, will determine the extent of your children’s safety. The first priority in teaching gun safety to your children is to start the education early. Children are naturally inquisitive. They want to learn, and want to be taught lessons that the parent is excited to teach. Through constant lessons, young children will grasp basic gun safety, setting themselves up for higher learning. They will become confident in their abilities not only to remember gun safety rules, but to handle firearms safely as well. Early instruction will set them up for a lifetime of correct and proper gun etiquette. Fortunately we have parents who taught us gun safety rules and gave us firearms instruction from an early age. As we’ve grown older, we understand that through continual firearms training, we’ve become more confident in our abilities. We strive to educate ourselves with new knowledge, because everyone has the right to defend herself. As teenage girls in today’s society, knowing how to use a handgun for personal protection is a must. The person best able to protect me is me. The single most important step toward ensuring your own safety is having a personal safety strategy in place before you need it. NRA’s Refuse to Be a Victim program teaches the tips and techniques you need to be aware of dangerous situations and to avoid becoming a victim. The time may come when you or your children and family members want to learn how to handle and shoot a gun safely. In the case of a child, his or her attitude, learning ability, and physical and emotional maturity are some of the factors you’ll need to weigh before beginning formal instruction. Only you can determine when your child is mature enough to learn to shoot a gun. Safety is critical not only while handling firearms, but also in everyday life. The NRA offers resources and training to ensure the safe and effective use of firearms as well as personal safety. 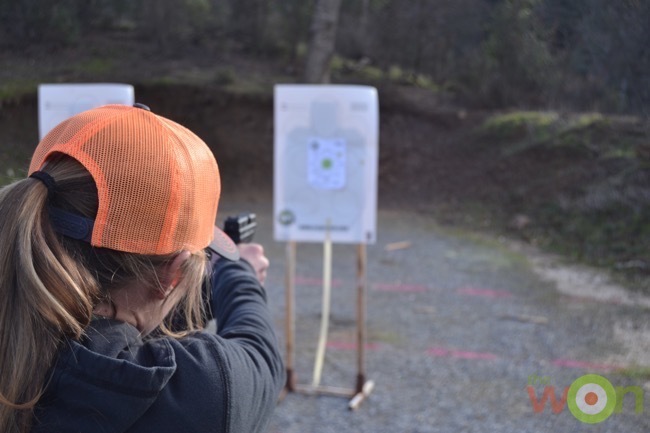 The organization offers training courses that teach proactive strategies to avoid dangerous situations, self-defense using a firearm, and protection inside and outside the home. Providing instruction on the safe handling, use, and storage of firearms is one of the NRA’s most important functions. More than 54,000 NRA certified instructors teach basic firearm training courses in every state; do your research and make sure your instructor teaches to your level of expectations. 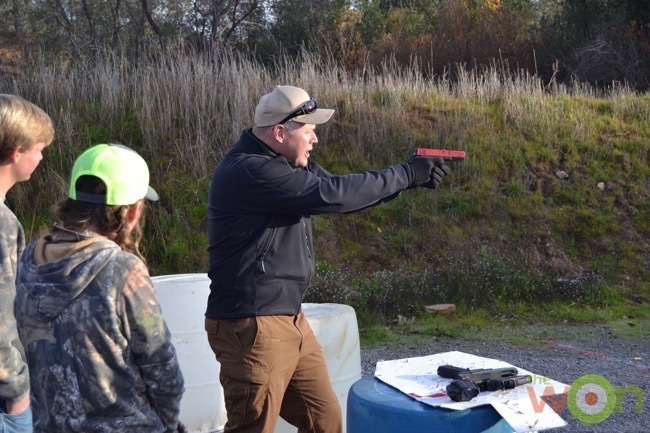 Here in Northern California, we choose to go to Northern Firearms Instruction and learn with NRA training counselor Ted Lidie. 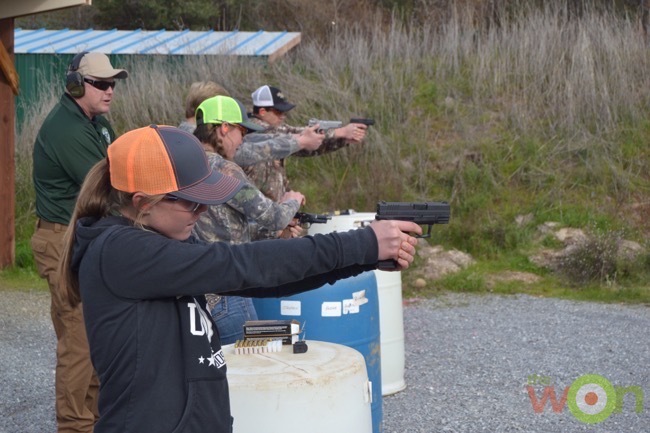 Ted teaches hunter education and firearm safety for youth, as well as handgun safety and CCW classes for adults throughout California. Ted is working with the National Wild Turkey Federation to promote its JAKES programs, which introduce youth to a safe hunting environment. Guns are very much a part of our society, and it’s a mistake for parents to not address children’s natural curiosity about them. Keeping youngsters in the dark about guns only ensures they will not understand their potential danger and increases the likelihood that they will seek to satisfy their curiosity without proper supervision. For a complete listing of the NRA’s gun safety and marksmanship training information, visit the NRA Program Materials Center. Do you have other gun safety resources to add?